ALL ORGANISATIONS face issues such as staff retention, productivity and work-life balance but it all really boils down to good communication, says a leading consulting executive. Mr Grant Freeland, the Boston-based global leader of people and organisation practice at BCG, believes it all starts from the top. He told The Straits Times last week: "If I wasn't the head of the Boston office doing it (changing how things worked), it would never have worked. "That's the challenge for HR leaders because change needs line support. It can't be an HR-driven effort from the mid-level of an organisation." Any change is centred on the reason behind it. "If I, as the leader of the organisation, didn't feel like I had to do something different, it wouldn't happen. And that's the place to start. "So for companies talking about work-life balance, does the senior team really believe in the need to fix it and are they going to change their behaviour?" Mr Freeland, 52, has been with BCG for 25 years. 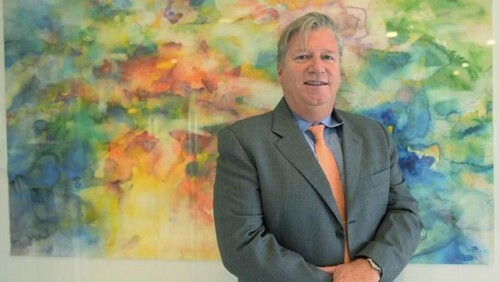 He joined the Melbourne office in 1989, and transferred to Boston in 1993. What is the problem when it comes to seeking work-life balance? In 2006 or 2007, when I was managing partner at the Boston office, I had a call from Professor Leslie Perlow of Harvard Business School. She said there's a debate going on in the faculty about whether you can have good work-life balance in a professional services firm, where you need 100 per cent customer responsiveness. "I'd like to come and study you to see if it's possible or not." At that time, the retention rate of high performers in the office was lower than what I wanted. I was losing good people and, in our exit interviews, work-life balance was an issue. After 18 months, she came back to us and said the problem was predictability. No one could make a plan, they were always "on". We started experimenting, like forcing people to take the night or day off, but they couldn't check their e-mail. By forcing people to do that, it forced them to talk about what work they needed to do or not do. We said: Can we not do some work? Can we eliminate low value-added activities? Not only did people get a little bit of time off, but the team actually worked smarter than the teams that didn't take time off. It was because they were forced to prioritise. What started as a work-life balance issue ended up improving the quality of work we were doing. There is an obsession with working long hours in Singapore, just like the rest of the world. How has BCG dealt with it? We do annual surveys on confidence and work-life balance, and the results in South-east Asia are above the global average. The first question people have to ask about work-life balance is why do you want to improve it. Unless you have a reason, it's not worth working for because it takes a lot of effort to get it right. We spent a lot of time working with the leadership about why it was important to do it, like the retention of people. We changed the work, started tracking the morale and confidence, measuring the teams' effectiveness and sharing the results with partner teams, and started promoting people who were good at this. We gave awards for people who were the best at PTO (predictability, teaming, and open communication). How can firms incorporate this into the work culture? This is like any change effort, and I think leaders try and change culture the wrong way. I've seen too many sessions, often led by well-meaning HR leaders, who will take the executive team into a room and describe what kind of culture they want to have. They would debate things like we want to be speedy or nimble, and argue about words and vote, and speedy will win. Then they would get posters made saying, we're a speedy company and we want to be speedy, but nothing changes. Why is that? Culture doesn't change by talking about things - it matters a little bit. But it's all about changing things like who you hire, fire, promote, who you make heroes of, what you talk about in meetings, what you measure, what projects you fund. So if the company wants to be speedy and promotes people who are quick and fast-acting, and doesn't promote people who are slow and methodical, it is going to get there really quickly. On work-life balance, just saying that we want you to look after your own careers, we empower you to worry about this stuff, doesn't mean anything. If the people who are getting promoted are the guys working 20 hours, then it doesn't matter what you say. It's not so much about improving work-life balance or changing a culture, but communication? Partners of my firm like to do some work on Saturday mornings, which I do and that's fine. So we send an e-mail and get an e-mail back from someone from the team, and you think they're working so you respond and it goes on. But what I didn't know was that they were at their kid's soccer game. They knew I worked every Saturday morning, so it forced them to take their phone to the game because they thought I expected them to respond but I didn't. So without the communication which says, "You don't need to respond, if it's urgent I'll call you", you're working every Saturday morning for no reason other than I wanted to work on Saturday mornings. I now have a piece of software where after 8pm, any e-mail that I send asks if I want to send it now or the next business day. I'd say two-thirds of the e-mail, I send on delayed delivery because I don't need a response. You need to put some of these things in practice if you want to change how people work, and you need the open communication.